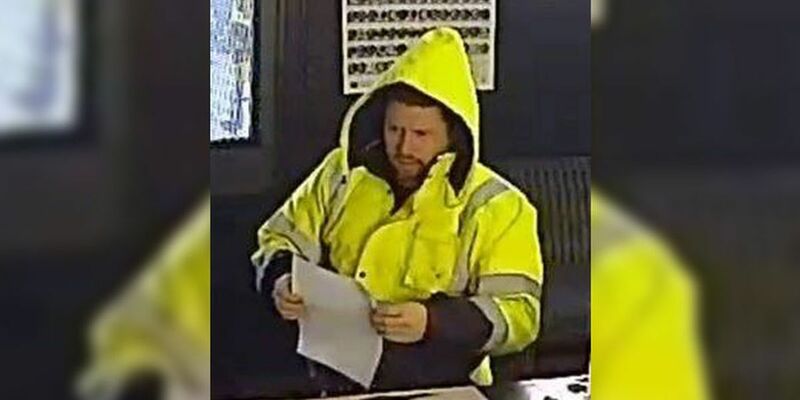 CHESTERFIELD, VA (WWBT) - Chesterfield police are searching for a man they say used stolen credit cards at area businesses. The man used the stolen cards at two automotive businesses in January and February. One business captured the suspect on surveillance camera. He is described as a white male, last seen wearing a bright yellow jacket. The suspect’s vehicle, a gray 2004 Ford F-150, was also captured on surveillance footage. Anyone with any information on the suspect’s whereabouts should contact the Chesterfield County Police Department at 804-748-1251.